How much for a lime? I then rode from Central Station to the University of NSW up some much nicer paths and the brand new path next to racecourse. I enjoyed this trail more and the bus times are similar to the 23 minutes it took me. Now if i was to do the same thing with a lime ebike the cost would be 1$ plus 6.90 at the 30cents per minute. So about 8$ minimum. The bus would be 4$ or 2$ for students. An Uber would be faster but the cost about $20. Now if the cost per minute was the usa price of 15cents (which converts to 21cents), the lime bike would be 5.50$. 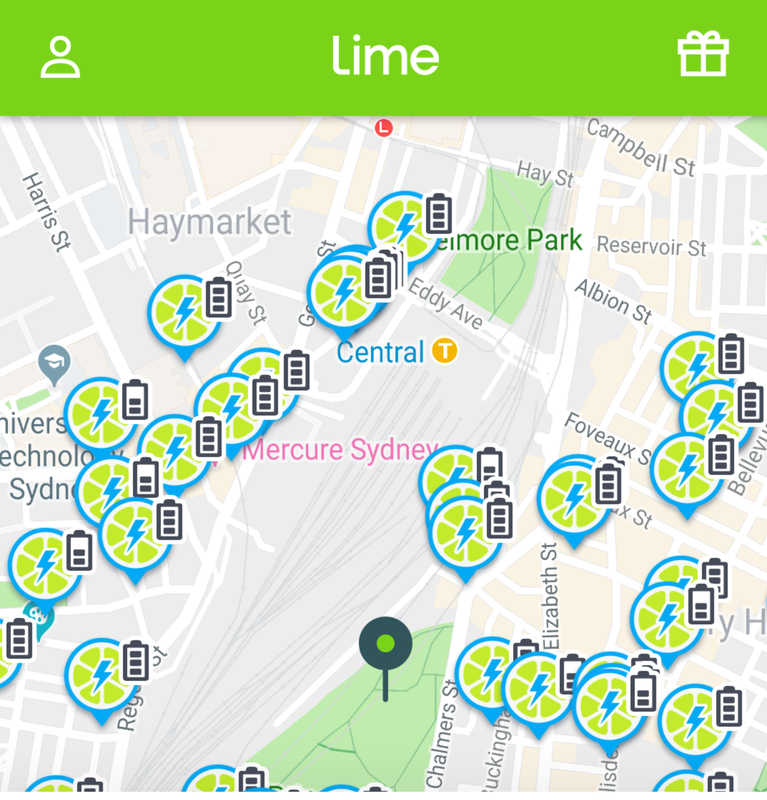 So in summary a Lime bike at the current rates is an efficient form of transport especially if you are going where public transport isn’t going near or you just missed the bus. Unfortunately it’s not low cost at twice the price of buses and probably the trains. The cost relationship gets worse as the train or bus goes faster and further.